We get it - there might be some circumstances where you might want to disallow your subscribers from commenting on your posts. Cerkl makes it simple. 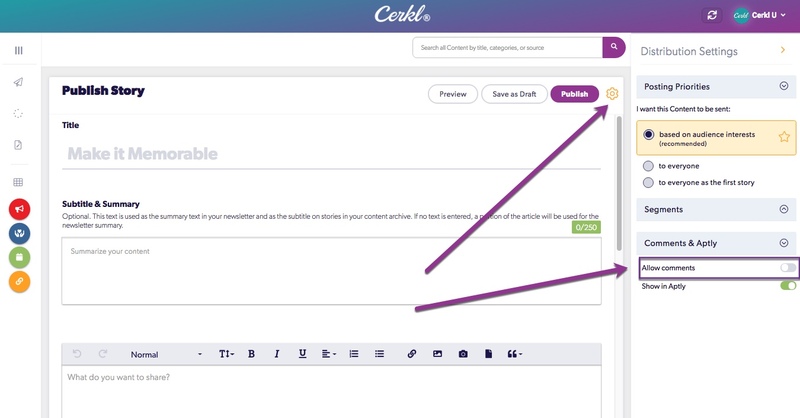 When creating a post, simply open your Distribution Settings by clicking the orange gear icon in the top right corner of your Content Creator pane. If you've already created the post and want to disable further comments, edit the story and go to the Comments tab to disable the feature.